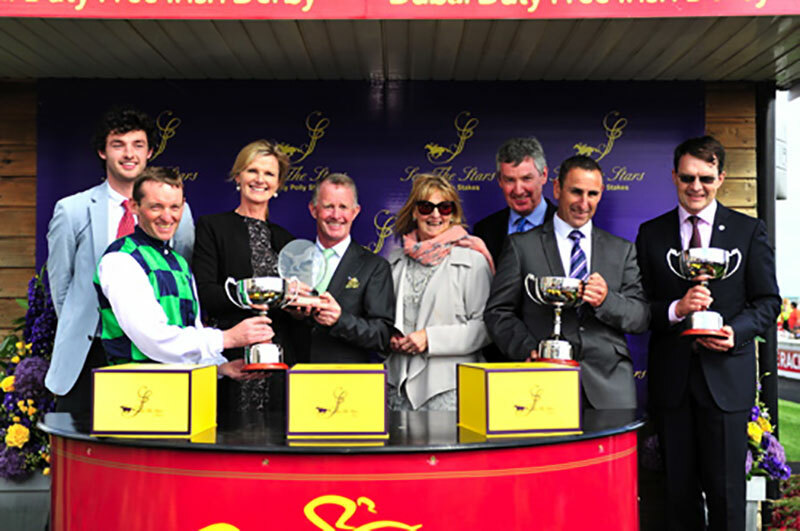 Sunderland Holding Inc, the company of the Tsui Family who own Sea the Stars, has agreed to continue their support of the Pretty Polly Stakes taking place at the Curragh on Sunday 26th June 2016, the feature race on Day 3 of the Dubai Duty Free Irish Derby Festival. First run in 1947, The Pretty Polly Stakes is named to honour one of the great racing fillies of the 20th century. Recent previous winners include Dar Re Mi, Dance Design, and Alexander Goldrun, while the Aidan O’Brien trained Diamondsandrubies beat a world class field in 2015 that included Legatissimo, Pleascach. Secret Gesture and Ribbons, thus ensuring the 10 furlongs contest continues to be one of the highest rated races in the Irish racing calendar. Total prize money for the Group 1 contest for fillies and mares will be 250,000 euro ensuring the race continues to be one of the most valuable of it’s kind in Europe and thus maximising all opportunities to attract the very best horses. The Tsui Family will generously give away free gifts to race goers on the race day from the Sea The Stars Pavilion, which will be located close to the Parade Ring. The Tsui family are the owners of world renowned Sea the Stars who ran in the name of Mr Christopher Tsui and was victorious in six Group 1 races in as many months of 2009, including the Epsom Derby, the Irish Champion Stakes and the Prix de l’Arc de Triomphe. They are a Hong Kong based family who now race under the name of Sunderland Holding Inc, and are long time supporters of breeding and racing in Ireland. They were the owners of Urban Sea who raced in the name of Christopher’s father , Mr David Tsui, and carried his colours to victory in the Prix de l’Arc de Triomphe in 1993. Subsequent to her relocation to Ireland, Urban Sea has gained immortality as the dam of Galileo and Sea the Stars. Now her family and descendants are having a profound impact on thoroughbred breeding and Sea the Stars stands at Gilltown Stud, alongside his brother, Born to Sea.